This was an interview I really enjoyed; perhaps because of the farm’s remote location – I have a fondness for far-flung places. Perhaps because of the German heritage of this family (I spent many years in a German boarding school and everything German remains dear), or maybe because of the wonderful family involvement in the business – most of the interview was punctuated by toddlers, Mark’s beautiful wife Rowen, who is getting more and more involved in the admin, as well as valuable input from Mark’s Dad, Ronnie, who tried to remain in the background but his wealth of knowledge and insight was more than I could resist. Or maybe it is because they share my passion for all things natural; listening to the earth telling us what she needs as well as placing value on homegrown produce. Whatever it was, this farm is vibrant and energising … you could literally feel its success. All I had to do now was find out what they are doing and what you can learn from that. Ronnie Buhr grew up on a sugar and dairy farm in Paddock. He moved here in 1973. Mark was born on this farm about 10 years later. He has travelled but chose to settle on the farm, running it together with his parents, wife and cousin. If you’re wondering about space issues … there are none – it’s a LARGE farm (or rather, collection of farms): 750 hectares of their own sugar plus 250 hectares of leased cane land, 200 hectares of timber, 55 hectares of macs (many of them old, established and producing handsomely), 3,5 hectares of pecans, some khukhuyu (leased out for cattle grazing), avos, cattle (Nguni X Brahman) and goats (Mark calls them his ‘stress-relievers’; they don’t talk back). 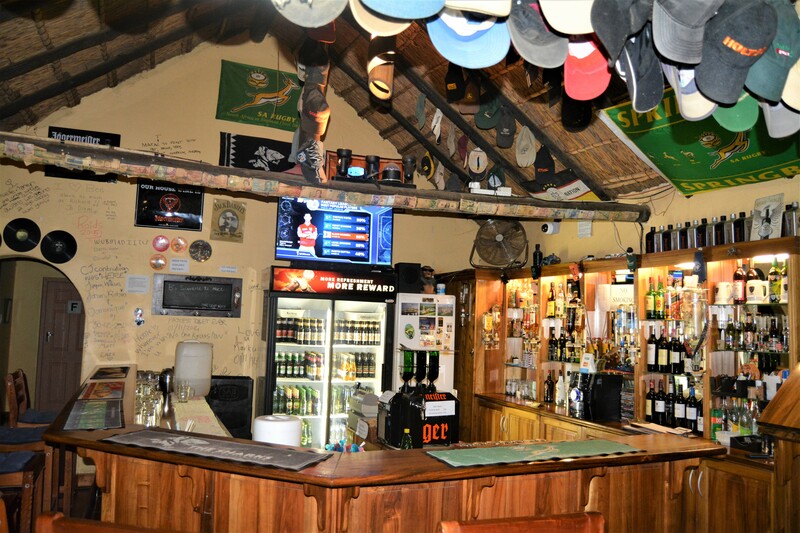 Even a Bed & Breakfast, bar and restaurant. PLENTY to keep everyone busy. And busy they certainly are: we got down to business quickly – the topic of Eldana kicked us off. 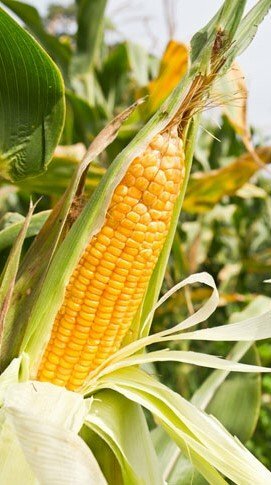 This Insect-resistant corn contains a built-in insecticidal protein from a naturally occurring soil microorganism (Bt) – hence the name. It is the Cry1Ab toxin in the Bt-maize that kills the Eldana larvae. This toxin is present in allBt–maize plant growth stages, making it a longer-term solution. Tests carried out determined that Eldana will actually choose the Bt-maize over sugarcane. All of the points above mean that the Bt-maize is considered an effective dead-end trap crop. These plants can form part of a ‘push-pull’ strategy – they are the pull. A plant, such as molasses grass, can be used as the ‘push’ – it gives off a repelling odour. Molasses grass, amongst the cane, and Bt-maize, as an option for the Eldana moths, (now holding their noses and looking for a new home) can be an environmentally-friendly strategy alternative to pesticides. Some further advice on Eldana is that you need to conduct inspections, constantly. Here, the Eldana seems to like varieties N48, N12 and N31 – the only varieties that Eldana has been found in here. More resistance is shown by N39 and N41. Although the drought here did not lead to the loss of any fields, it did drop tonnage by up to 50% in some fields. 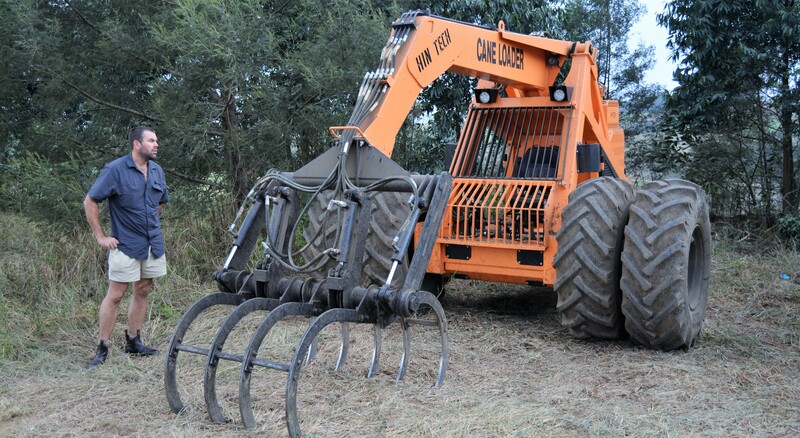 The Buhrs practice minimum tillage and soil disturbance which they believe was a large contributing factor to their survival through this dry spell. They never plough, preferring instead to rip and ridge. Lines, exactly one metre apart, are ripped – often to one metre deep. They then drive over that rip so that the clods are broken up (high clay content soils make this a necessary step in the process) They then ridge straight into where they ripped. 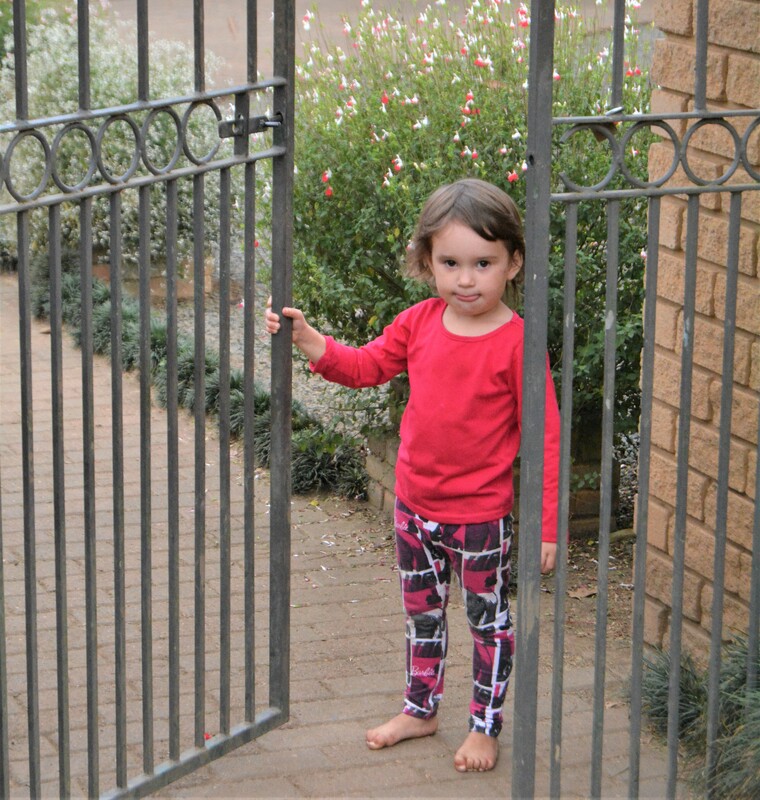 Although this process does incur higher costs, they save on other elements and to justify that their decision is correct – the neighbours are now following the same practice. During the drought, when the soil held far less water, they had to use a roller to help break up the clods before ridging. Soil sampling is vital. The Buhrs have every field analysed, sometimes twice, just to verify the initial results were accurate. Every field is treated uniquely, according to its specific soil sample results. Phosphorous fixing is imperative, even above nitrogen. The soil content of this chemical is strategically linked to yields. Dig deeper if you have to. If a field has the right readings after a soil sample is taken but is still not producing acceptable yields, out comes the TLB. The Buhrs will dig down and investigate the root structure of the cane and the soil content at lower levels and take remedial action based on these findings. Ph is phlipping important. It can never go above 20. Some of their new farm fields showed up in the region of 40 – 50 a few years back and were producing approx. 95 tonnes. The acidity levels would have required 12-15 tonnes of lime to fix. They decided to give them 5 tonnes of gypsum initially and then an additional 3 after each cut. These fields are now on their 14th ratoon and are now delivering 130 tonnes per hectare. Problem solved. Consider liquid. Only the planting is done with granular fertilisers. About 3 years ago, the Buhrs changed all other fertiliser applications from granular to liquid nutrients (CMS). And they are currently trialling liquid for planting as well. Don’t cut back in a drought. Continue to expect the best from your fields, and feed them accordingly. A neighbour decided to cut back on fertilising during the drought and paid a hefty price with yields of about 50 tonnes per hectare. Chicken litter. Any new Buhr field or existing field that isn’t delivering gets smothered in chicken poop. 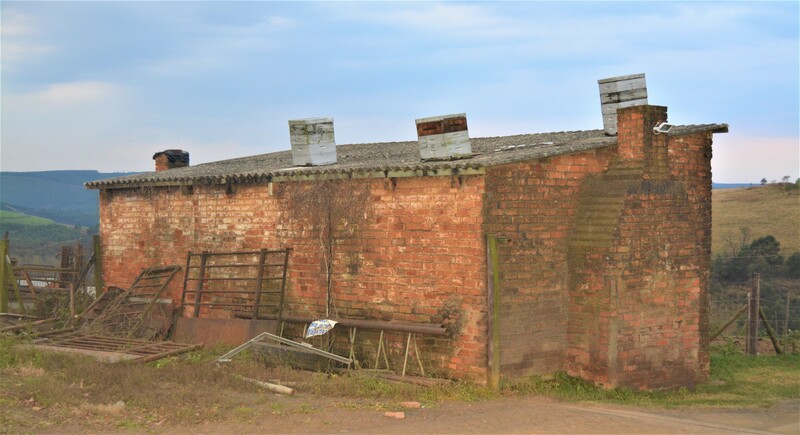 They are fortunate in that a friend recently erected seven chicken sheds on a neighbouring farm. They use a Radium spreader to apply 5 to 10 tonnes when necessary. When planting, the chicken litter is applied prior to ripping to ensure that it is nicely incorporated into the soil. Split applications. The Buhrs choose to do one application before winter while there is still a little moisture in the soil, and then the second application will happen in September in response to the soil sample results taken just before that. They also compare soil sample results and yields to those of 2 years back so that a perspective on the progress of each field can be ascertained. The use of ripeners in this area is limited by the cold season. They get a lot of frost which slows the growth rate of the cane and also acts as a natural ripener. They have used Fusilade but recently tried Syngenta’s new product; Moddus. They anxiously await the results of this chemical, which behaves differently to Fusilade, in that it doesn’t kill the plant (it doesn’t even turn brown; there is only a slight wilt to the leaves) and also helps reduce lodging. Another obvious advantage of Moddus is in overspray; neighbouring fields won’t be affected if there is a little drift in the spray. This is only the second time that the Buhrs are using ripeners. Although they do believe in its benefits, it is a question of how great that benefit is. In their experience thus far, unripened fields have sometimes outperformed ripened ones. They have a field of N31 that was ripened and harvested at 22 months – it produced 14% RV. The same field previously, unripened, produced 13,5% at the same age. Considering that the mill average for that time was 11,5% I think that they’re doing a damn fine job either way. So, for now, they use ripeners on the fields that will be cut in the first two months of the season opening. Thereafter, they rely on Father Frost to weave his killing wand over the cane and raise the RV naturally. The topic of ripening took a turn into the discussion of varieties – top of the charts, in the Buhr’s ratings, are N52 and N12. They have a field of N12 that in its 15th ratoon and recently gave a yield of 140T. This field is still producing as, here, a policy of ‘if it’s not broken, don’t fix it’ is in force. The colder climate in this area means that cane is so slow growing, and as we know, the longer the field takes to canopy, the longer you have to battle weeds. The Buhrs spray in winter and then again in September. Barbie and Cynodon are the main villains. As with their fertiliser policy, they apply what is necessary rather than blanket spraying. Inspections guide them as to what each field requires. The variety in each field also needs to be taken into consideration as some are softer and cannot withstand the set back of a harsh chemical without an adverse effect on yield. They advise that sprayers are always correctly calibrated. Here, knapsacks are used to handle the spraying but Mark is investigating precision-tractors to mechanise the process. Having two generations actively involved in the farm gives flexibility in the allocation of responsibilities. Before, Ronnie used to spend a lot of time in the office but has gratefully handed more of that over to Mark and he gladly escapes onto the land where he takes up accountability for land prep of all crops and the oversees the macs entirely. Currently, Mark spends about half his time in the office and the other half in the field. Bernd, Mark’s cousin who is also a part of the family/management, runs the timber side of the business and all the mechanics. Mrs Buhr and Rowen (Marks’s wife) handle the administration. There seems to be a content harmony, not only between the personalities involved but also in the overall management of the enterprise, including time spent in-field and in the office. The plan for the future, as the little people (Mark’s children are aged 3 and 1) get a little older, is for Rowen to take on more of the admin, relieving Mrs Buhr to take up more “granny” duties. Mark explains that the meticulousness farming they choose to practice raises the demand for office time: as soon as they have the figures on a harvest, they use that to make detailed decisions, in all areas, for the next crop. Each field’s history is analysed, cause and effect patterns identified and used to contribute to an improved result for the next crop. So, although this office time takes away from the ‘footprints’ in the field, it ultimately contributes to improved bottom lines, justifying the office time. Here’s another completely new concept to me: farming by the moon. The Buhrs have practiced this for many years and even use the philosophy in the personal lives, timing haircuts and surgical operations by the moon’s phases. Now I have your attention hey! Plant above-ground produce on the wax of the moon. Plant below-ground produce on the wane of the moon. Avoid planting on the days the moon changes phase, (a Moon Calendar provides the exact time of phases) only plant after the exact time, not before. Harvest on a waning moon. Never plant in when the moon moves through Leo. Avoid planting on eclipse and nodal days. Avoid planting root veg closer than 3 days before New Moon. When possible plant when the moon is above the horizon. The moon travels around the Earth once every 5days. Each time it starts a new orbit, that’s the start of a new phase / moon. A waxing moon is when the moon is moving towards being full. In the Southern hemisphere, this is when the moon is in a C-shape. A waning moon is when the full moon has passed and we see less each day ie: it’s moving towards the end of its phase. In the Southern hemisphere, this is when the moon is in a D-shape. This can all be taken a step further, into Zodiac realms. 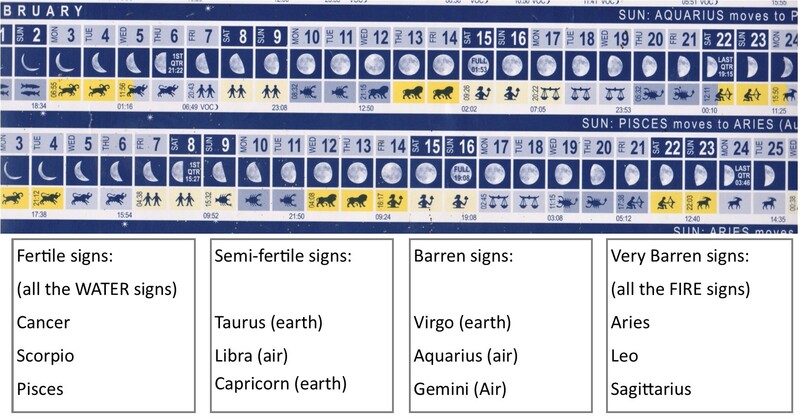 According to this philosophy, each day has a different Zodiac sign, as shown in a portion of the calendar from 2014 that the Buhrs kindly allowed me to take … if you want details about Zodiac farming, these can be found on the Moontime website. So, it’s obviously not for everyone and many of you may have swept over this portion entirely, but, I do think that everyone is entitled to their opinion and, given the phenomenal success the Buhrs have enjoyed, it’s definitely worth investigating. Which is what I did. I found that there is mixed reaction. Farmers all over the world are following lunar guidance: of interest was that some farmers insist that calves weaned during the wrong moon-phase bawl a lot more than those done ‘correctly’. It is also said to affect a wide range of other activities including fishing, baking, castrating – the list is endless. But others say that weather has a lot more to do with agricultural success than moon phases – but even they don’t deny there is a complete lack of correlation between the moon and earthly activities. At the very least I hope that it has opened up an area of cognisance for you. When you think you’ve got it all to a point where you can do no more to refine your practices, think again. That big pale ball in the sky seems to control more than we think. And people around the Buhrs have seen the proof and now follow their practices in syncing activities with phases of the moon. Moon (food) for thought. And back to more conventional topics. As mentioned, the Buhrs have a minimum tillage approach to land prep. They also do not load trucks in-field. Tractors are used to move the cane to a loading zone, where it is weighed and loaded. As for their favourite colour – it’s green all the way. The Buhrs are firm fans of the wet system most of the John Deere systems offer. “Because everything is run in oil, it wears better and there are minimal repairs,” says Mark, who completed his mechanics trade with John Deere before travelling the world and eventually settling down on the family farm. As for the loaders, they’re all Bell except for the latest acquisition – a Hintech. So far, this machine is proving to be a valuable asset with three healthy ticks: aIt loads quicker, saving time as well as money ait has a longer boom which clears the trucks better and athere’s a local agent in the area, making after-sales impressive. The Buhrs have had a few customisation requests, all of which have been efficiently met by the Hintech team. 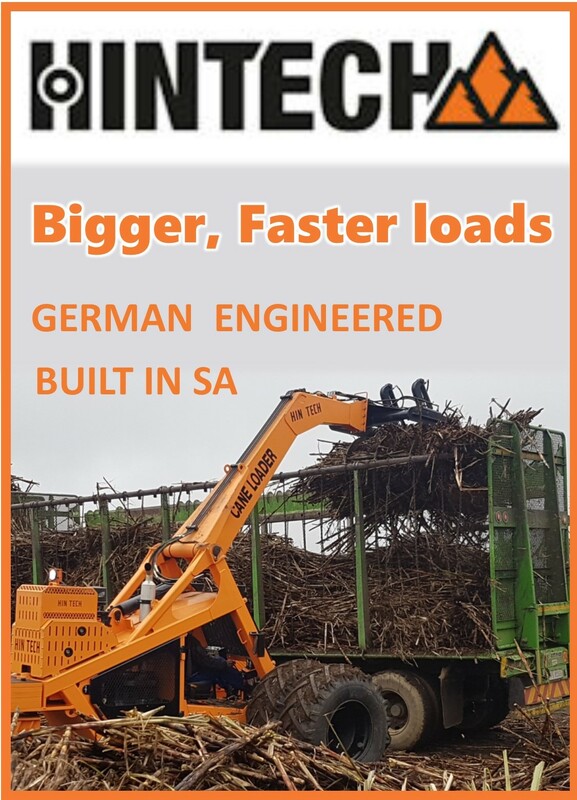 Given that German’s are generally not easily impressed, I’d say this piece of equipment is worth investigating should you be in the market for a loader. They’ve also just ordered a Dezzi haulage tractor which they’re very excited to take delivery of. Looking at the future, Mark will be moving towards precision farming and automated GPS controlled tractors, specifically for spraying which is always a challenge when it comes to precision. Both over spraying and under spraying are costly and Mark looks forward to reducing these costly elements. When it comes to haulage, they contract in. Two hauliers are employed: one for a daytime load and one at night. Having the two means service levels are kept high – a positive spin-off of having competitors operating in the same space. As far as payment goes; it is performance-based. And because the farm is so diverse, most of the staff stay throughout the year, getting involved in other divisions during the sugarcane off-season. Mark thinks that the fact that they help staff to save money throughout the year is a considerable contributor to their contentment and recommends that more farmers get involved in this practice. 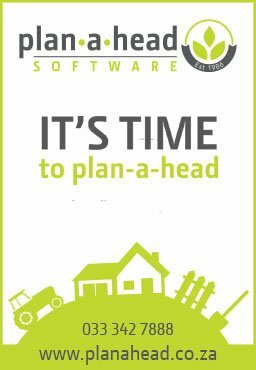 Plan-A-Head software is used extensively in this office and is vital in the smooth administration of all staff-related remuneration. It user-friendliness has made Rowen’s induction into the running of more admin tasks smooth sailing. A highly recommended tool. Mark insists that cane-farming is still profitable, especially when farmed at scale. Harding is a great area in which to grow sugarcane and he has no intentions of diversifying out of cane at all. He believes that a large part of his success in cane lies in the fact that he farms proactively rather than just leaving the cane to grow at its own pace. As a team, they put in maximum effort wherever possible, focussing on any detail showing potential for learning and improving. In his view, continuously striving for excellence is integral to success. Mark loves animals and his farmyard has an Ark-like feel with all the birds (budgies, emus, quails, finches, ringnecks, chickens and ducks). There are also horses, cows and dogs. And special pigs, from Eastern European stock, which are, apparently, delicious. These, and Mark’s hunting activities, supply the meat processing activities which is a family past-time born from a passion for organic nutrition. I am also an avid natural foodie and was fascinated to see how much of their pantry is supplied from their own gardens. No wonder the Buhrs are such happy, energetic and wholesome people. Mark’s focus in this arena is uncompromising. Excellence is non-negotiable. Strategic decisions are made based on information generated by this department. It is for this reason that most of the admin is done by the family. Again, the Plan-A-Head programmes are a vital tool; very useful and user-friendly. It is a concern, shaping decisions on what crops to plant and what security is necessary. A few years ago, the Buhrs stopped farming cabbage, meilies and other veggies because of crop theft. Unfortunately, it was found that staff were the primary instigators. All nut orchards are fully fenced. Personal security is taken care of by security cells throughout the area. They meet bi-monthly and discuss all threats in the area. This has helped a lot and is recommended to all other rural folk. The dogs are the main security guards and are very effective at front-line security. They are supported by two guards and the tight neighbourhood. The foundation of the Buhr family’s success is their faith. Faith in their abilities, and faith in their God. Upon that foundation, they build with hard work, constantly extending themselves beyond their comfort zones. I loved the time I spent with the Buhrs, for all the reasons that I mentioned at the beginning of this article. Thank you to all of you for your candour, patience, sharing and time … oh, and the scrumptious biltong!